“This is totally stupid” we thought to ourselves as we stood on the volcanic brown sand beach of deception island, our bare feet cold in the sand. 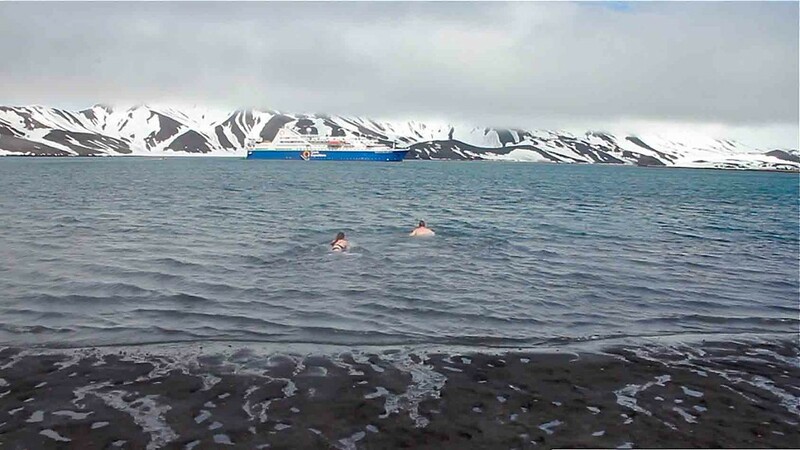 Two minutes earlier (after being convinced by our friends), we’d made our decision, we were going to do the polar plunge with Quark Expeditions, a breathtaking run into the icy waters of Antarctica! We’d quickly taken off our jackets, fleeces, jumpers, thermal tops, boots, thermal trousers, waterproof trousers, gloves and woolly hats. We were now standing on Antarctica in our swimming costumes ready for the dip! It was cold, and the shore line was barely 10 metres away. We psyched ourselves up, took a deep breath and sprinted to the shore line and into the icy Antarctic waters! As we sprinted into the water, at first we couldn’t feel the cold. Up to our waists after a couple of seconds, there was no going back, and we dived head first into the icy cold water! Now we were cold! After what could only have been a couple of seconds, we hit the surface again and frantically scrambled back out of the water to the safety of the shoreline. Greeted by our friends Lindsay and John with towels and dressing gowns, we wrapped them around us and looked at each other. We had done it, we had completed the polar dip challenge! To prove we did it, we decided to borrow Lindsay and John’s GoPro to film the event! Unfortunately, due to the immense shock of the cold water, let’s say the video footage of the dip with Laura and I was…shaky at best! The solution, well… do the polar plunge again! Check out the second attempt at the polar plunge below! With thanks to John and Lindsay for the use of their GoPro! It was very cold Helen, especially when I had to do it for a second time! Still, couldn’t resist the challenge! The pair of you are absolutely bonkers, bad enough to do it once for the experience but to do it again – you must be a glutton for punishment. Still loving reading your blog, seeing all the photos and also sharing in the videos too. Feels as if you are really sharing it all with you. 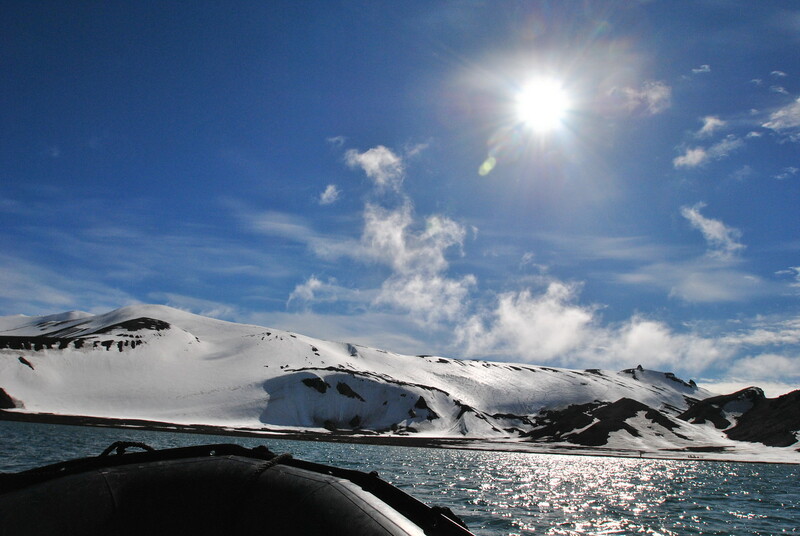 Antarctica is just too amazing for words. And so are your pictures. Thank you for the great writeup. You’re very welcome Andrew, Antarctica is still our favourite adventure to date and I think it will be hard to top it!